He has raised to fame taking part in the sixth season of "Eesti otsib superstaari". He never told his family that he was entering into the local version of the Idol franchise, and only a small number of his friends knew about the plan. Ten weeks later he was crowned as the winner of the competition. "I wasn't doing anything exciting and I love to sing, so I thought 'why not try? ", remembers Pootsmann. He appeared to be one of the most versatile in styles and vocal abilities male singers of the competition. After the show Jüri kept performing with a four-member band composed of Siim Avango on bass, Joonas Mattias Sarapuu on keyboards, Hans Kurvits on drums and Pent Järve on guitar, doing pop/rock music. In November he has released on Universal Music first self-titled EP on which he collaborated with Vaiko Eplik, Sten Sheripov and Swedish Kim W. Mini album contains four new songs and Superstar winning single "Torm". It contains song "Aga siis", which was submitted to the Eesti Laul participation, but didn't make the cut. 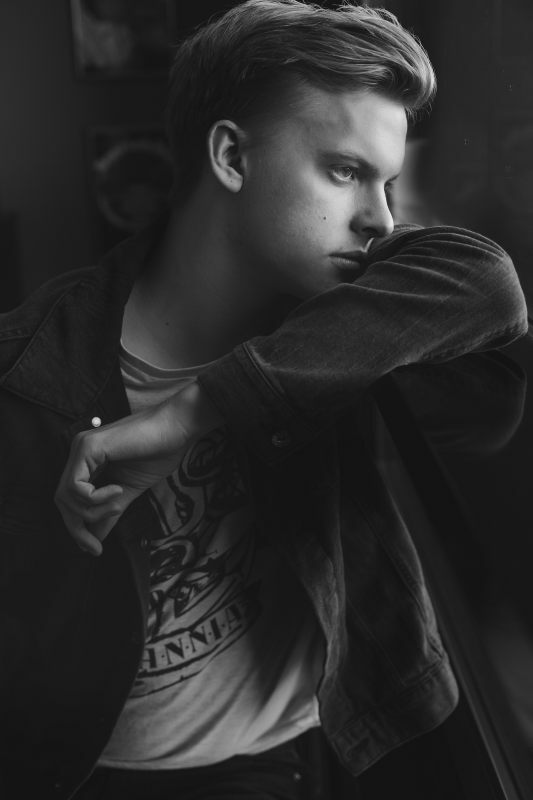 CD is accompanied by 28-page booklet which takes fans to the backstage life and tells of Jüri ambitions and inspirations. A full debut album is planned for mid-2016. Pootsmann is still trying to figure out what style of singer he wishes to be but is not in a great hurry to commit to a specific genre. "I really like trying everything I can right now, because I think it's allowed. I'm still growing as a singer and I'm still so young,", he says. 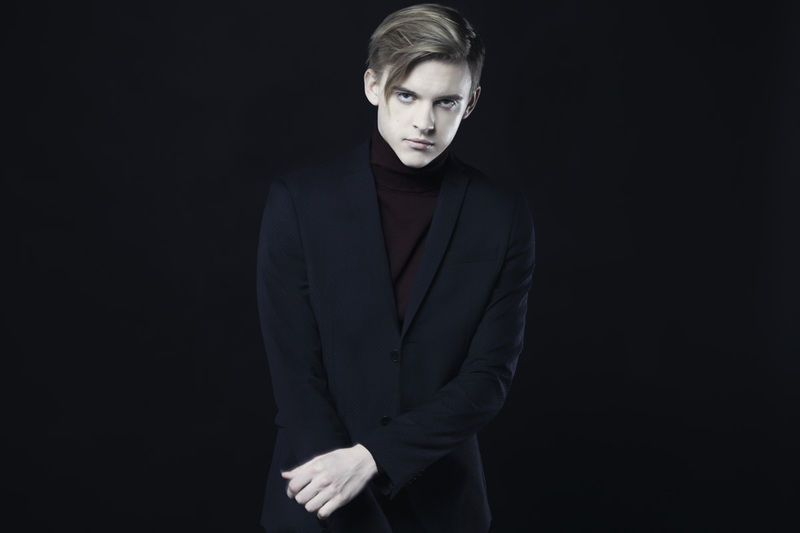 Unstoppable Jüri has become the brightest and beloved young artist in Estonia with support coming from the whole nation. 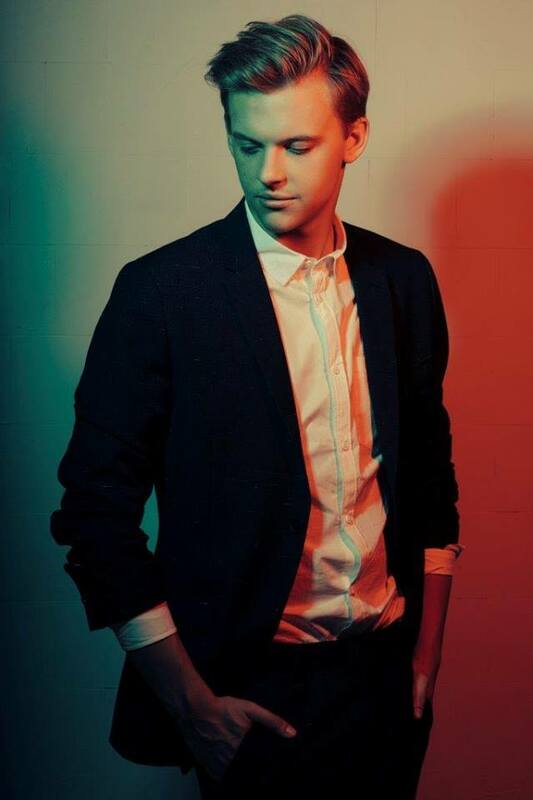 Jüri's deep and sultry tone lends itself to a variety of styles and he is unafraid to provide his signature bass-baritone to an array of genres from pop and soul to more modern electronic music. Pootsmann's Eurovision entry "Play" was written by Fred Krieger, Stig Rästa and Vallo Kikas. Music video for the song was directed by Elise Eimre. 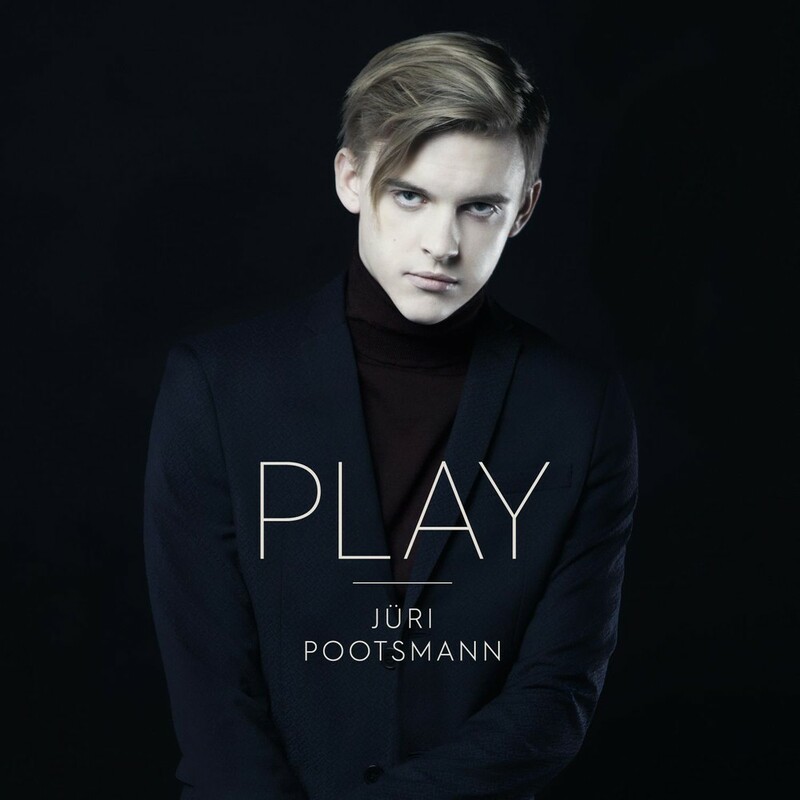 It was Jüri who contacted Eesti Laul veteran and last year's Eurovision entrant Stig Rästa with proposal to write song for the national preselection. "I really wanted to call Stig, but I was too afraid. I was pushed by one of my friends whose fault it is that I'm singing this song,", he recalls. Incredibly, Stig says also got the idea at the same time, and was planning to contact Jüri himself. The song wasn't born quickly. "He had a few demos which didn't feel right, but then I went to the studio and there was this song and it felt like the song". Stig is certain "Play" is a powerful song which can bring a success. "It can easily become even more successful story than "Goodbye to Yesterday", he says. 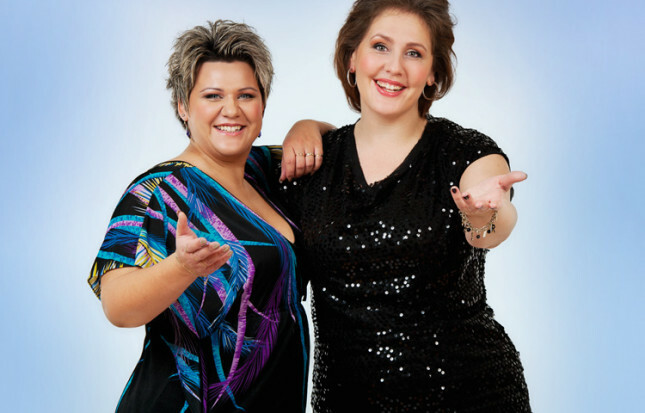 Backing vocals for "Play" are provided by Eesti Laul veterans Dagmar Oja (Malta 2002, Estonia 2006) and Kaire Vilgats (Estonia 2000, 2014, Malta 2002). "The song has a brassy, retro vibe which is really cool. I wanted to enter the competition as I've always watched Eurovision and Eesti Laul since I was a little boy. Watching the Eurovision Song Contest has always been a tradition in my family! We have been watching it every year since I can remember. I was planning on coming to watch the show this year anyway, so it's so awesome that now I am actually in it. It really means so much to me that I can represent my country in Stockholm and have this amazing and unique experience. It is the biggest music event in the world and it might open so many new opportunities, which is very important for an artist"
Eurovision fans have prepared a little video where one can see performers from all Baltic countries in this years Eurovision Song Contest dubbed with the song of Sammarinese entry "I Didn't Know". "It was funny. We looked at it together with Justs in Vinius just a few days ago. It was a wonderful, brilliant," said Pootsmann to ESCKAZ.com. Representatives of Baltic coutries have gathered last week in Vilnius for a joint photoshoot for headphone advertising. Photogallery from the shootings can be seen on Delfi. As of today, ETV will broadcast "Euroopa laulud" which will present the entries of 61st Eurovision Song Contest held in Sweden in May. The show will be aired every Saturday at 20:00. Estonian broadcaster ERR once again has selected it's Eurovision Song Contest entry through the national preselection process Eesti Laul. It's regulations have been published on 7 September, 2015. Eesti Laul has become one of the biggest national finals in the Eurovision calender and is only expected to grow from here, as such it is extending an official welcome to anyone interested from Europe and beyond to come experience Eesti Laul in person. All songwriters and performers have to be citizen, alien citizen or residents of Estonia. Their entries should have followed basic Eurovision rules. Songwriter or performer could have submited up to 3 songs each. Deadline to apply was set on November 2, 15:00. Usually, the submission date had been at the start of December. "We have considered and discussed this for a long time, and we decided making the submission date earlier than the Christmas period is reasonable." said the executive producer of Eesti Laul, Mart Normet. "This enables more radio airplay for the songs and gives more time for us, as well as for the artists to work more thoroughly on the live presentation." Record number of 238 entries was received, which is 19 more than the last year. "Having 238 songs submitted is truly a sign of recognition for the work we have done in the past years. It's also concrete evidence that we are growing. Without a doubt moving the contest from the Nordea Concert Hall to Saku Suurhall was the only right decision," cheered Mart Normet. "Elina and Stig have raised the bar greatly in both a local and international level. We are hoping that this year we will also have strong and timeless songs in the selection". All submitted entries have been evaluated by the 11-member preselection jury (singer Anne Veski, Olavi Paide (Ruud), Erik Morna (Raadio 2), Toomas Puna (Sky Plus), Ingrid Kohtla (Tallinn Music Week), musician Eeva Talsi, Owe Petersell (Elmar), DJ Eisi Mäeots, Siim Nestor (Eesti Ekspress), Valner Valme (ERR Culture portal) and Kira Evve (Raadio 4)) which gathered on 4-5 November and shortlisted 56 of them without knowledge of the names of the performers, narrowing the list next day to 20 acts to take part in the semifinals. Names of semifinalists have been simultaneously revealed in the show Ringvaade on ETV and Russian language show "Your Evening" on ETV+ on 5 November. Among returning entrants are Laura Remmel (Suntribe, Eurovision 2005), Mick Pedaja (Manpower4 with Malcolm Lincoln, ESC 2010), Anett Kulbin, Grete Paia, Meisterjaan, Põhja-Tallinn, Tuuli Rand (Windy Beach), Rosanna Lints (Würffel) and Noorkuu competed in previous years of Eesti Laul. Not later than 11 December songwriters of chosen entries had to provide recorded versions of their entries as well as instrumental. As the songs were released, they were linked to on the news.err.ee portal and the playlist from YouTube. In the period of 4-7 February semifinal performances for each act were recorded. Semifinals of Eesti Laul (with prerecorded performances) were held on 13 and 20 February 2016 in Estonia Theater and national final completely live on 5 March 2016. Semifinals are hosted by Henry Kõrvits and Maris Kõrvits. This year in a move to accommodate growing interest in Eesti Laul, the final was held in the Saku Suurhall, Tallinn, the same venue used for the 2002 Eurovision Song Contest which has capacity for around 5000 seats. The show was hosted by comedian duo Märt Avandi and Ott Sepp, who already hosted Eesti Laul in 2010 and 2011. Tickets for the final show went on sale on 10 November for 19-79 Euros. At the same time the tickets for Eesti Laul 2016 went on sale, a new logo was born. Friendly and welcoming, the new songbird logo characterises how innovative and versatile the song festival is. "The aim was to move from an abstract sign towards a recognisable image, maintaining the style of the original form and proportions of the logo," described the artist Jan Tomson. "The new logo is simple as well as memorable." Tomson has been Eesti Laul's graphical designer since the very beginning of the contest. Currently he teaches graphic design at the acclaimed Gerrit Rietveld Academie and runs a office both in Amsterdam and in Tallinn. The new logo is easier to use than ever before. It is playful, moving and more importantly it fits with the vision the Eesti Laul team has. "Eesti Laul has always emphasised the importance of the whole package, including design: it should be new, modern and distinguishable," added executive producer Mart Normet. 10 entries competed in each semifinal with 5 best according to the combination of televoting and jury vote proceeding to the finals. National semifinals jury line-up included: Owe Petersell, Luisa Värk, Mihkel Raud, Sten Teppan, Ivo Kiviorg, Reet Linna, Ruslan PX, Epp Kõiv, Janar Ala, Maarja Merivoo-Parro and Sven Grünberg. In case of a tie televoting got preference. In the national final from 10 competing entries 3 best ranked according to the combination of televote and jury vote proceeded to the superfinal, and the televote only has chosen the winner of the competition. This year the Eesti Laul green room was built into the stage, so everyone in the audience could see their favourite artists relax or sweat it out as the show progresses. For the first time in history, broadcasts of semifinal and final on ETV+ channel will be commented in Russian language, by Aleksandr Hobotov for all three shows, Kira Evve for the semi-finals and Sofia Rubina for the final. The final was also broadcasted on Raadio 2 with commentary by Erik Morna, Margus Kamlat and Helle Rudi. Special guest of the final show will be Maarja-Liis Ilus and Ivo Linna to celebrate 20th anniversary of "Kaelakee hääl" as well as international popartist Isac Elliot. Jury members for the final were: Ģirts Majors (Positivus Festival organizer), Liis Lemsalu (singer), Olav Ehala (Maestro), Anna Sapronenko (ETV+ television presenter), Koit Raudsepp (Raadio 2 presenter), Ingrid Kohtla (TMW organiser), Kristjan Hirmo (DJ), Heli Jürgenson (choir conductor), Siim Nestor (Music critic), Sandra Sillamaa (Bagpiper) and Isac Elliot (singer). 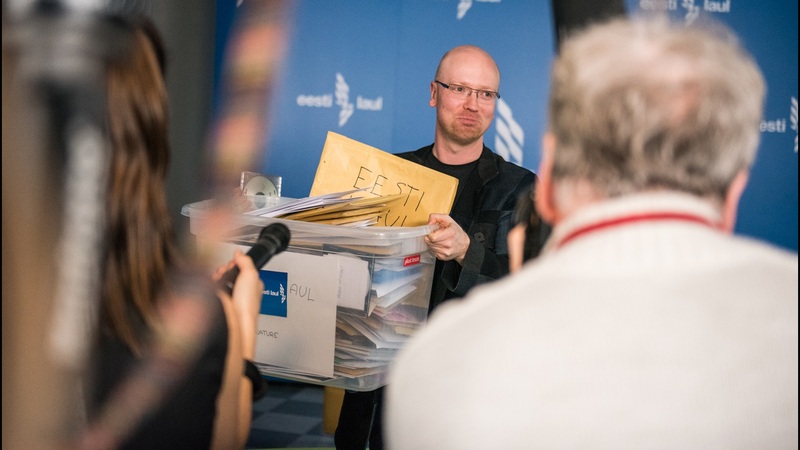 The winner received the prize money (3,000 euros), the Estonian Authors' Society and the Estonian Performers Association have also rewarded the winner with the 1500 Euro, and second and third placers with the 500 Euro. ERR was also be paying royalties for each participating song which will vary from 320 to 3,000 Euros to the songwriters, 32 - 1,500 Euros to the performers and 100 Euros to the Producers of Phonogram. Юри Поотсманн родился 1го июля 1994 года. Как и многие эстонцы, Поотсманн начал свою музыкальную карьеру с участия в хоре в родном городе Рапла, который расположен примерно в 50 километрах от Таллинна. Сейчас никто не верит, но в детстве его голос был настолько высоким, что ему приходилось петь с девочками, а не с мальчиками. После окончания школы он начал петь сольно и даже сформировал собственную музыкальную группу. Год Юри провел в Дании в качестве студента по обмену, и потому прекрасно владеет датским языком. Известность к нему пришла с участием в шестом сезоне шоу "Eesti otsib superstaari". Он даже не рассказал своей семье о том, что подал заявку на участие в эстонской версии Идола, и лишь только небольшое количество его друзей знало об этом плане. Десять недель спустя он был объявлен победителем конкурса. "В тот момент я не был особенно занят в других проектах, и, поскольку я люблю петь, я подумал, 'почему бы не попробовать? '", вспоминает Поотстманн. Он оказался одним из самых разносторонних в стилях и вокальных возможностей исполнителей конкурса. После шоу Юри продолжил выступать со своей музыкальной группой, в которую также входят Сийм Аванго на бас-гитаре, Йоонас Маттиас Сарапуу на клавишных, Ханс Курвиц на ударных и Пент Ярве на гитаре, в основном играя поп-рок музыку. В ноябре он выпустил на лейбле Universal Music первый EP-диск, в котором он сотрудничал с Вайко Эпликом, Стеном Шериповым и шведом Kim W. На него вошли четыре новые песни, и также песня-победитель Superstar "Torm". Также в него вошла песня "Aga siis", которую Юри также подавал для учатия в Eesti Laul, но которая не была выбрана в стадию полуфиналов. CD содержит в себе 28-страничный буклет, который знакомит поклонников с закулисной жизнью Юри, рассказывает о его амбициях и вдохновениях. Полноценный дебютный альбом исполнителя планируется к изданию в середине 2016 года. Поотсманн все еще пытается определиться с тем, в каком стиле он хочет быть, но пока не торопится отнести себя окончательно к какому-либо из них. "Я все еще хочу попробовать все, что в моих силах, думаю это возможно. Я все еще очень молод, и продолжаю расти как исполнитель,", he says. Неудержимый Юри стал самым ярким и любимым молодым артистом в Эстонии, поддержка в адрес которого исходит ото всей нации. Его глубоки вокал позволяет ему работать в различных стилях, и он не боится использовать свой бас-баритон в жанрах от поп и соул до более современной электронной музыки. Песню Поотсманна "Play" написали Фред Кригер, Стиг Ряста и Валло Кикас. Видеоклип на нее сняла Элиза Эймир. Юри сам связался с ветераном Eesti Laul и участником прошлого Евровидения Стигом Ряста и предложил ему написать песню для национального отбора. "Мне очень хотелось позвонить Стигу, но я слишком боялся. Меня подталкивал один из моих друзей, который и виновен в том, что теперь я пою эту песню", вспоминает он. Невероятно, но оказалось, что к Стигу пришла та же самая идея, и он также планировал связаться с Юри. Песня родилась не быстро. "Стиг показал мне несколько демок, которые мне не очень подошли, но потом мы отправились в студию, и там родилась эта песня, которую я сразу же почувствовал своей". Стиг уверен, что "Play" - это мощная песня, способная принести успех. "Ее история с легкостью может стать еще более успешной, чем "Goodbye to Yesterday", говорит он. Бэк-вокалы в "Play" исполняют ветераны Eesti Laul Дагмар Оя (Мальта 2002, Эстония 2006) и Кайре Вилгатс (Эстония 2000, 2014, Мальта 2002). Победитель эстонского конкурса Eesti Laul Юри Поотсманн, который будет представлять страну на "Евровидении-2016", выступил на промо-концерте в Амстердаме, в котором приняли участие и музыканты нынешнего европейского песенного конкурса из 27 стран. Подобные концерты проводятся в Нидерландах ежегодно на протяжении восьми лет. Они собирают участников конкурса и большую аудиторию болельщиков, сообщает ETV +. Юри Поотсманн достойно выступил и представил свою конкурсную песню "Play". До концерта певец из Эстонии сказал изданию ESCKAZ.com, что он впервые в Амстердаме и что неделю назад он выступал на концерте в Латвии. "Я очень счастлив. Думаю, что у меня есть фанаты по всей Европе. Приветствую всех и не могу дождаться встречи в Стокгольме", - сказал Поотсманн. На прошедших выходных в Риге прошла т.н. предвечеринка "Евровидения-2016" — Eurovision Preparty. До финальной части Евровидения в Стокгольме состоится еще несколько таких мероприятий — в Москве, в Тель-Авиве, Лондоне и Амстердаме. В Риге собрались участники из девяти стран — Эстонии, Латвии, Сербии, Швейцарии, Испании, Израиля, Беларуси, Мальты и Болгарии. Программа ETV+ "ТВой вечер" отправилась в командировку, чтобы отследить начало евровизионного пути участника от Эстонии Юри Поотсманна. На камеру Юри Поотсманн пообещал, что обязательно одержит победу в конкурсе. Смотрите подробности забавных рижских приключений корреспондента программы "ТВой вечер" Александра Хоботова в сюжете. Фанаты Евровидения подготовили небольшой ролик, в котором можно видеть исполнителей из всех балтийских стран, принимающих участие в конкурсе Евровидение 2016, под музыку песни Сан-Марино "I Didn't Know". "Это было очень забавно. Мы посмотрели ролик с Ютсом в Вильнюсе несколько дней назад. Прекрасна работа", отметил Поотсманн в интервью ESCKAZ.com. Представители балтийских стран на прошлой неделе собрались в Вильнюсе для совместной фотосессии рекламы наушников. Фотогалерею со съемок можно найти на сайте Delfi. С сегодняшнего дня в эфир телеканала ETV начинает выходить превью шоу "Euroopa laulud", в котором будут представлены все песни, принимающие участие в конкурсе Евровидение 2016. Программа будет выходить по субботам в 20:00. Эстонское телевидение ERR вновь выбирало своего представителя на конкурс Евровидение посредством национального отбора Eesti Laul. Его правила были опубликованы 7 сентября 2015 года. Eesti Laul стал одним из самых крупных национальных отборов в календаре Евровидения, и продолжает свой рост, в этом году официально пригласив всех желающих поклонников конкурса из Европы и мира посетить шоу Eesti Laul вживую. Все авторы песен и исполнители, принимающие участие в отборе должны были быть гражданами, негражданами или жителями Эстонии. К песням предъявляются общие правила Евровидения. Один автор мог заявить до 3х песен. Крайний срок приема заявок был установлен на 2 ноября, 15:00. Обычно, заявки в Эстонии принимались до декабря. "Мы обсуждали этот вопрос уже долгое время, и решили в этом году осознанно выставить крайнюю дату более ранней, чем привычная в рождественский период" говорил исполнительный продюсер конкурса Eesti Laul Март Нормет. "Это позволит песням, вышедшим в следующий этап, получить большую радиоротацию, и даст больше времени нам и самим артистам подготовиться к шоу." В этом году было получено рекордное количество в 238 заявок, что на 19 больше, чем в прошлом году. "Это настоящий знак признательности за всю ту работу, что мы провели в последние годы. Это также твердое свидетельство того, что конкурс продолжает расти. Без сомнения, перенос его финала из концертного зала Nordea в Saku Suurhall было правильным решением," уверен Март Нормет. "Элина и Стиг высоко подали планку на местном и международном уровне. Мы надеемся, что в этом году нас тоже ждут сильные и вечные песни в нашем отборе". Все поданные песни оценило жюри из 11 человек (в него вошли певица Анне Вески, Олави Паиде (Ruud), Эрик Морна, (Raadio 2), Тоомас Пуна (Sky Plus), Ингрид Кохтла (Tallinn Music Week), музыкант Еева Талси, Ове Петерселл (Elmar), DJ Эйси Мяйотс, Сиим Нестор (Eesti Ekspress), Валнер Валме (ERR Culture portal) и Кира Эвве (Raadio 4)), которое создалось 4=5 ноября и отобрало "в темную" (не зная имен исполнителей, такая практика применялась впервые в рамках эстонского отборочного тура) 56 лучших, а затем определилось с именами 20 полуфиналистов. Оглашение их имен прошло одновременно в передаче "Ringvaade" на ETV и в русскоязычной передаче "Твой вечер" на ETV+ 5 ноября. Среди возвращающихся участников - Laura Remmel (Suntribe, Евровидение 2005), Mick Pedaja (Manpower4 с Malcolm Lincoln, Евровидение 2010), Anett Kulbin, Grete Paia, Meisterjaan, Põhja-Tallinn, Tuuli Rand (Windy Beach), Rosanna Lints (Würffel) и Noorkuu принимали участие в прошлых сезонах Eesti Laul. Не позднее, чем 11 декабря авторы выбранных песен должны были предоставить окончательные их версии, а также инструменталы, в распоряжение организаторов отбора. По мере выпуска песен, они публиковались на сайте news.err.ee и Youtube плейлисте. 4-7 февраля прошли записи полуфинальных выступлений каждого участника. Полуфиналы Eesti Laul (с предзаписанными выступлениями) вышли в эфир 13 и 20 февраля 2016 года из Estonia Theater, а вот национальный финал уже прошел полностью вживую 5 марта 2016 года. Ведущие полуфиналов отбора: Henry Kõrvits и Maris Kõrvits. В этом году, для того, чтобы справиться с возрастающим интересом к национальному отбору, его финал был проведен в зале Saku Suurhall, Таллинн, который использовался для проведения конкурса песни Евровидение 2002 года и имеет вместимость в 5000 мест. Проведел шоу комедийный дуэт Мярт Аванди и Отт Сепп, которые уже были ведущими Eesti Laul в 2010 и 2011 годах. Билеты на финальное шоу поступили в продажу 10 ноября по цене от 19 до 79 евро. Одновременно с поступлением в продажу билетов на Eesti Laul 2016, был представлен и новый логотип конкурса. Дружелюбный и приветствующий, новый логотип с певчей птицей призван продемонстрировать инновационность и разносторонность фестиваля. "Нашей целью было перейти от абстрактного знака к более узнаваемому имиджу, при этом сохранив стиль и пропорции оригинального логотипа," описывает художник Ян Томсон. "Новый логотип прост, и в то же время запоминающийся." Томсон работает графическим дизайнером Eesti Laul с самого начала конкурса. В настоящее время он преподает графический дизайн в известной академии им. Геррита Ритвельда и управляет офисами в Амстердаме и Таллинне. Новый логотип еще более легок в использовании, чем раньше. Он игривый, подвижный, и, что еще более важно, соответствует видению команды Eesti Laul. "Eesti Laul всегда подчеркивал важность цельного пакета, включая дизайн: он должен быть новым, современным и различимым," добавляет исполнительный продюсер Март Нормет. 10 песен принимали участие в каждом полуфинале и 5 лучшие из них, по решению телезрителей и жюри, выходили в финал конкурса. В случае ничьей, лидер телезрителей получал предпочтение. В состав жюри полуфиналов национального отбора вошли: Owe Petersell, Luisa Värk, Mihkel Raud, Sten Teppan, Ivo Kiviorg, Reet Linna, Ruslan PX, Epp Kõiv, Janar Ala, Maarja Merivoo-Parro и Sven Grünberg. Во время национального финала из 10 лучших песен 3 были отобраны для участия в суперфинале совместным решением зрителей и жюри, и там уже только зрители определили победителя конкурса. В этом году грин-рум Eesti Laul был встроен прямо в сцену, потому все зрители смогут увидеть своих любимых артистов, отдыхающими или взволнованными по мере продвижения шоу. Впервые в истории конкурса трансляции полуфиналов и финала на телеканале ETV+ сопровождались переводом на русский язык с комментриями Александра Хоботова (полуфиналы и финал), Киры Эвве (полуфиналы) и Софии Рубиной (финал). Финал шоу также вышел в эфире Raadio 2 с комментариями Эрика Морна, Маргуса Камлата и Хелле Руди. Специальными гостями финального концерта стали Maarja-Liis Ilus и Ivo Linna, чтобы отметить 20-летнюю годовщину песни "Kaelakee hääl", а также международно известный артист Isac Elliot. В жюри входили ведущая передачи "ТВой вечер" на телеканале ETV+ Анна Сапроненко, огранизатор музыкального фестиваля Positivus Гиртс Майорс, певица Лийз Лемсалу, композитор Олав Эхала, ведущий Raadio 2 Койт Раудсепп, организатор фестиваля Tallinn Music Week Ингрид Кохтла, диджей Кристьян Хирмо, дирижер Хели Юргенсон, музыкальный критик издания Eesti Ekspress Сийм Нестор, участница ансамбля Trad Attack Сандра Силламаа и финский поп-певец Исак Эллиот. Победитель получил приз в размере 3000 евро. Эстонское Авторское Общество и Эстонская Ассоциация Исполнителей также наградили победителя 1500 евро, а второго и третьего призеров 500 евро. Телеканал ERR также выплатил роялти каждой участвующей песне, которые варьировались от 320 до 3000 евро для авторов, от 32 до 1500 евро для исполнителей, и по 100 евро всем производителям фонограмм.